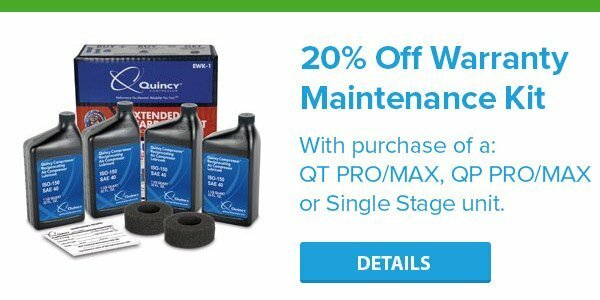 The Quincy QP series is designed tough 175 PSI applications where traditional splash lubrication just won’t measure up. 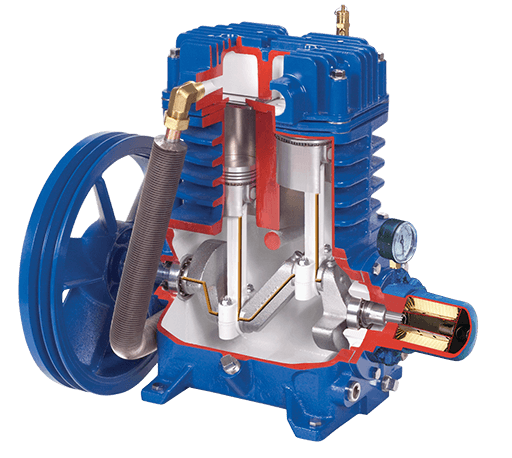 The QP is a heavy-duty, cast-iron compressor that features an oil pump for pressure lubrication to the crankshaft, bearings and connecting rod up to the wrist pins. This advanced pressure lubricated system allows for a smoother, more continuous operation. The QP series of two-stage reciprocating compressor has been engineered from the ground up to deliver exceptional performance. Aluminum head provides effective heat dissipation, leading to an overall more efficient machine. Industrial-class bearings for long service life. Oversize oil reservoir and high-efficiency fin and tube intercooler minimizes the risk of overheating. 15% longer life than a splash lubricated compressor, with no compromise in power or performance. 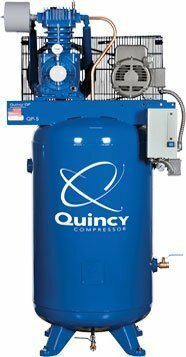 At Quincy Compressor, we know that, whatever industry you’re in, reliable performance from an reciprocating compressor compressor is essential. Sudden breakdowns and extensive maintenance requirements can easily eat into your productivity, costing you money and jeopardizing project goals. That’s why we’ve engineered our industrial duty compressors to be more dependable, even in the most demanding applications. The QP reciprocating piston compressor is available in multiple configurations to suit a wide range of commercial needs. Choose from several different tank, engine and accessory combinations for a complete compressor air solution. Standard configuration — the Pro — is a durable platform featuring an ODP slow-speed motor with overload protection and a ball valve tank drain. Max package and add features such as an electronic drain tank, low oil pressure shutdown, air cooled aftercooler and more. Both Pro and Max configurations are available with a one- or three-phase, 5, 7.5, 10 or 15 HP motor. The Pro and Max configurations come standard with our Sterling Blue Warranty, which includes seven years of coverage on the compressor itself and two years of protection on the overall package.